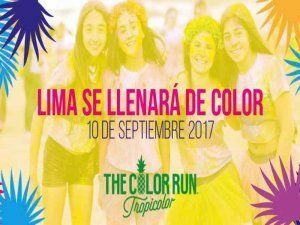 The Color Run is a 5 kilometer, untimed event which is all about fun. There are no winners or prizes but participants are showered with colored powder, made of food-grade corn starch, at stations along the run making them look like they ran through a beautiful rainbow by the time they cross the finish line. The Color Run aims at promoting an active, healthy lifestyle. So everyone that can cover the 5 km (running, jogging, walking, or strolling) can participate.